With the upcoming stringent emission norms, all manufacturers are updating their products to comply with the rules and regulations set by the government. 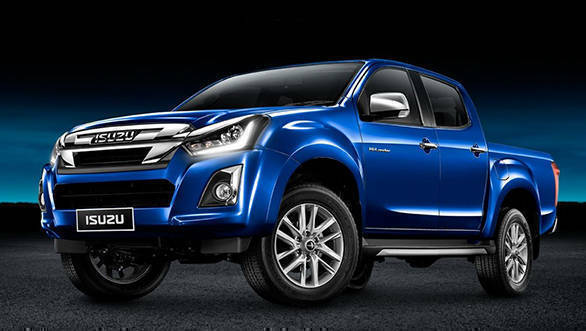 That said, Isuzu D-max V-cross is expected to join the bandwagon soon. With a new face, the SUV is expected to get a new power plant. The 1.9-litre diesel which is already on sale in international markets, could be offered in India. Along with a downsized engine, the SUV could have an optional six-speed automatic gearbox. The new engine will be BSIV compliant. Cosmetically, the SUV will be equipped with a newly designed headlamp and an aggressive grille. The cabin will carry a new theme as part of the update along with newly designed alloy wheels. 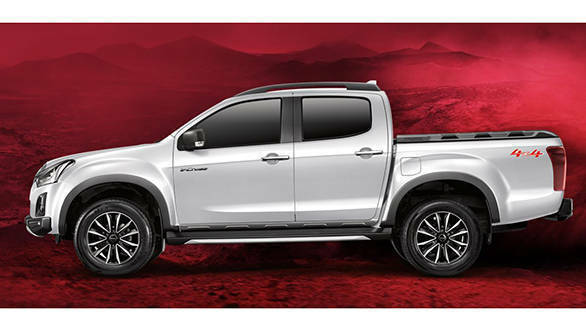 Currently, the Isuzu D-max V-cross dual cabin is powered by a 2.5-litre diesel engine that produces 135PS at 3,600rpm and 320Nm of torque beteeen 1,800rpm and 2,800rpm. The engine is mated to a five-speed manual only. No automatic is on offer yet. The Isuzu D-max V-cross has been priced at Rs 15.32 lakh ex-showroom India. The updated SUV will see a hike of Rs 60,000 on ex-showroom price. 2019 Isuzu MU-X Onyx edition showcased at the Bangkok Motor Show  India Bound?